Aimee Garcia is an American actress best known for her role as Ella Lopez in the hit FOX television show, Lucifer. The series which developed something of a cult following told the story about Lucifer Morningstar – The Devil – who becomes a consultant to The Los Angeles Police Department, solving crimes, after he grows bored with his life as the King of Hell. Aimee played a forensic scientist for the police force who helps the main characters with their cases. She also starred in the ABC sitcom George Lopez as Veronica Palmero, as Jamie Batista on Dexter and Yvonne Sanchez on Vegas. Aimee Garcia was born on the 28th of November, 1978 in Chicago, Illinois. Her father, Hector, is from Puerto Rico and was a member of the U.S. Armed Forces; while her mother, Eloisa, was from Mexico and attended Northwestern University, where she graduated from. 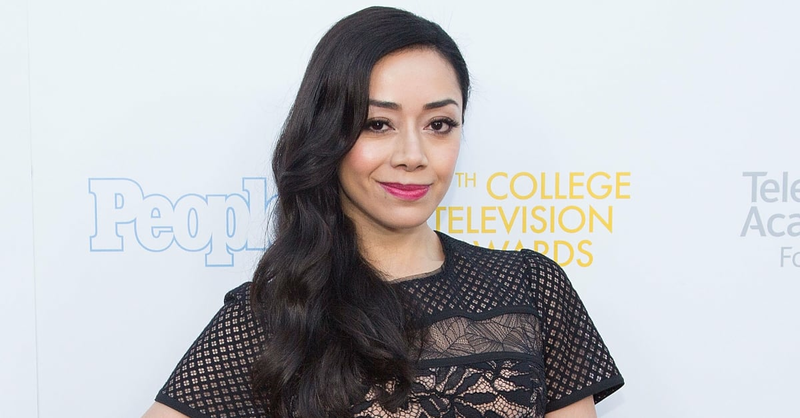 Aimee Garcia got her start in the entertainment industry when she began appearing in commercials as a child. She also began performing in the theatre when she was only seven years old. Though born in Chicago, Aimee grew up in Oak Park, Illinois. She also attended Fenwick High School, a private preparatory school in Oak Park. She took classes at Piven Theatre Workshop to improve her acting skills. Aimee later attended Northwestern University, her mother’s alma mater. In the university, she studied three majors – economics, journalism, and French while also acting in local musicals and plays. After she graduated, she chose a career in finance over a career in acting. However, she was unsatisfied with her choice and chose to pursue acting instead, quitting her job. Safe to say, she made the right choice. Being in Hollywood, it is expected that media and gossip outlets will be curious about your relationships and your life. Since Aimee debuted in the industry, she has kept a relatively low profile and kept most of her private life out of the tabloids. Though not a lot is known about Aimee Garcia’s private life, it is known that the actress is unmarried and also currently single. The actress is one of a few celebrities who manage to successfully fly under the radar and should be applauded for succeeding in her efforts. It’s undeniable that the actress is beautiful and in great shape as one has to be in order to be a successful actress. You can easily tell that Aimee prioritizes working out and staying in shape from just one glance. The actress’ height is currently listed at 5 ft 2 in (1.57) and her weight is 52kg (114 lbs). Her body measurements are 34-23-34 Inches, her bra size is 34B and her shoe size is 7 US. Her body shape is recognized as an hourglass figure. To get Aimee Garcia’s slim and petite physique, you’d have to spend a lot of time in the gym and have to constantly watch what you eat favouring veggies and protein over carbs. Aimee Garcia has a total net worth of $2 Million which is as a result of all the work she has done in both film and movies. Some of her television stints include The Agency, E.R., Cadet Kelly, All About The Andersons, Resurrection Blvd, VIP, Angel, Las Vegas, CSI NY. CSI: Crime Scene Investigation. Supernatural, Family Guy, Gary Unmarried, Off The Map, Hawaii Five-O, My Boys, Love Bites, About A Boy, Bones, Impastor and Rush Hour. You’ve got to admit, her résumé is pretty impressive. 1. After graduation from the university, she worked for a mutual fund analyst in Brooklyn, New York. 2. She will be starring in Saint Judy, an upcoming biographical film about Judy Wood – an immigration attorney who changed the law on granting asylum in order to save the lives of women. 3. She played the EMT helicopter pilot, Marisa Benez, in the NBC medical series – Trauma. 4. Aimee Garcia has been active in the industry for over two decades, since 1996. 5. Some of her film exploits include – The Homecoming, The Good Girls, D.E.B.S, Spanglish, A Lot Like Love, The Alibi, Dirty, Cruel World, Graduation, Universal Signs, Convincing Clooney, Go For It!, Sister Cities, RoboCop, What They Had and Mercy Street.